“Paul Farmer has a knack for persuading an audience to participate in his lectures, whether aloud or in silence. In other words, he never bores his audience. The liveliness of his talks comes in part from his delivery, but also from the qualities of the lectures themselves: the freshness of their ideas, their wit, and their passion. And these, thankfully, are qualities which this collection preserves.”—Tracy Kidder, Pulitzer Prize–winning author of The Soul of a New Machine, Among Schoolchildren, Mountains Beyond Mountains, and other titles. 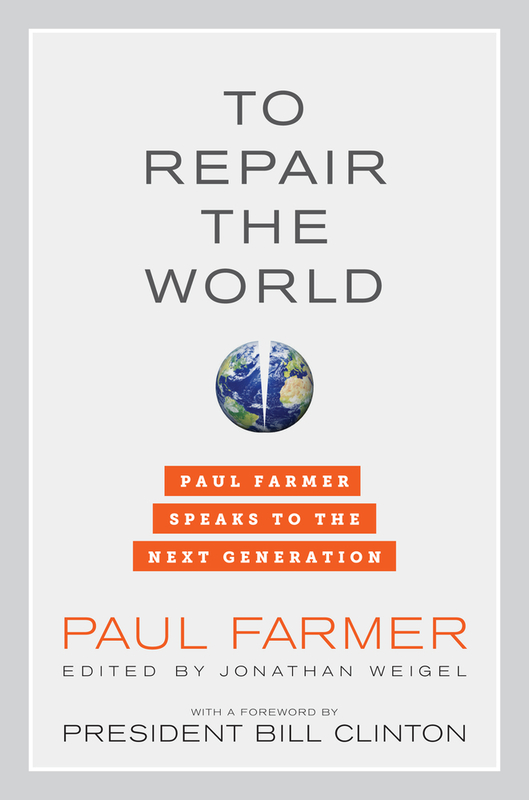 “This collection of speeches brings us close to Paul Farmer in a way that scholarly publications can’t. In these pages, I hear Paul’s voice clearly: his tenderness, his anger, his passion for justice, the incendiary sense of humor that has regularly doubled me over with laughter for twenty-five years—and often made me worry for Paul’s safety, as he aimed his barbs at the uncaring power holders of this world. Paul speaks directly to young people grappling with big decisions: about the values they will live by, the work they will choose, where their responsibility for other people begins and ends. But these questions concern all of us. And, for anyone struggling with these issues, I can’t imagine a more challenging yet inspiring guide than Paul Farmer.”—Jim Yong Kim, President of the World Bank Group, former President of Dartmouth College, cofounder of Partners In Health. “The fingerprints of Dr. Paul Farmer are everywhere in the world. I have seen them firsthand in Haiti, Rwanda, and right here in the United States. Whenever there is a need, Paul is the first guy out the door. After all, curing or repairing the world is ambitious and tough work, but one can’t help feeling more optimistic about our fate knowing Dr. Farmer is on the job. In his new book, you get more of an insight into this modern life hero—what makes him tick, his frailties, and what he worries about at night, long after most of the world is asleep. We also learn what inspires him, and the answer may surprise you.